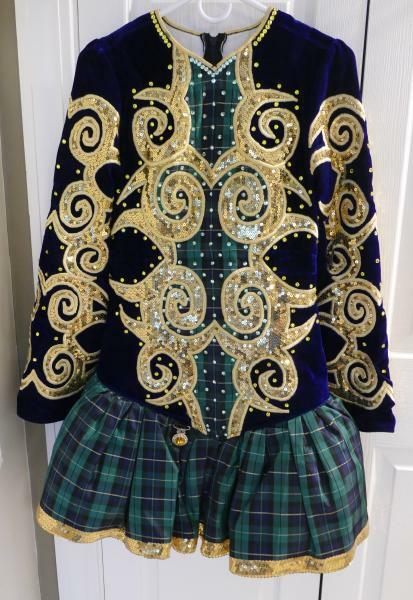 dance.net - Blue and Gold w/ Plaid Championship Dress $1200 (10241546) - Read article: Ballet, Jazz, Modern, Hip Hop, Tap, Irish, Disco, Twirling, Cheer: Photos, Chat, Games, Jobs, Events! 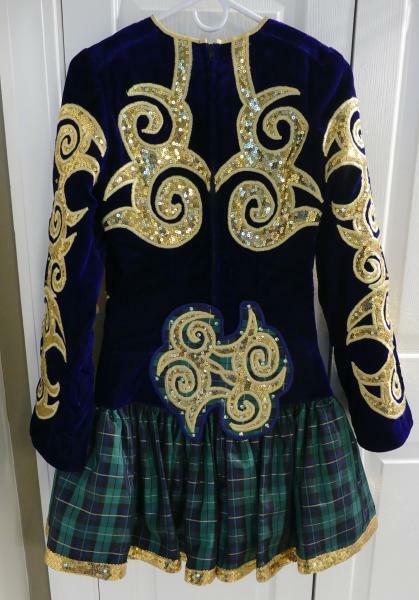 Blue Velvet, Gold Sequin, Plaid Taffeta KDSF Dress for tall, slim dancer. Length, top of zipper to hem: 34"
Asking $1200 + shipping; credit cards accepted.